Post subject: Clarification: "If your cargohold has more than 99 unique.."
"If your cargohold has more than 99 unique items it may corrupt all your pilots"
Ok, we've all seen it, some wonder about it, nobody has spelled it out yet so...This is what that means. Unique Items: This is in reference to guns, missile/torpedo, counter measure droppers, cruise disrupter launchers, mine droppers, ammo, cargo, shields, armor, shield batteries and nanobots etc. This list includes everything on your ship, both mounted gear and unmounted as well. Guns etc; includes everything you have mounted as well as looted and/or purchased guns & droppers of all kinds. Each individual item counts as 1 towards your 99 unique items capacity. Ammo; Each type, or catagory of ammo counts as 1, and does not include each unit of ammo (1-100 each type). Example, you have 100 wasps, 100 SMAW torpedoes, 55 Ripper mines, 67 Cannonball missiles, 98 Advanced counter measures, & 78 C-4 enema torpedos. This counts as 6 towards your 99 unique individual items capacity. Cargo; As with ammo, each type or catagory of cargo counts as 1 towards your capacity of 99. It matters not how much of each you have on board be it 1 or 10,000. What matters is how many different types or catagories of cargo you have onboard. Shield Batteries and Nanobots; Each count as 1 towards your capacity of 99 unique individual items. Equipment; Such as shields and armor. Each are counted individually towards your capacity of 99 unique individual items. Corrupt; This means that if you have a corrupted character. You will lose that character as it stands. The only way to save that character is by requesting an admin to delete the current corrupted character & to replace it with an uncorrupted version of that same character from a previous game save. Only Admins have access to these game saved characters. So don't try replacing it yourself, you will fail. Pilots; This means each individual character that you're running on your account at the time of corruption. All your pilots: This means your entire account, or possible set of 5 characters you are running on that account. This does NOT mean all your accounts, so make yourself aware of the difference between accounts vrs account. So! If you insist on shooting multiple npc's and tractoring in the loot until your scroll bar button is as thin as a hair, you ARE risking the loss of all your characters on that account through corruption. So do so at your own risk. Critical Sidenote Dept: There are a lot of folks doing this on a daily basis. Don't even try denying it, you are being watched! One of the results of this ingame behaviour is also known as the HUGE DEBREE FIELD. A huge debree field has the effect of creating serverwide LAG. See, all those idividual bats, bots, weapons, ammo, space debree et al must be calculated by the server itself to be registered on your monitor screen. All that number crunching takes away from the efficiancy of the server to run the entire game for us, resulting in the slowing down of the calculation ability of the server's host computer. Thus you're essentially lagging out the entire server in your quest for fun. So we emplore you to please keep this in mind when your camped out in your favorite system, in your favorite ship, making huge debree fields by blowing up everything in sight during your futile search for top billing in the server top 10 killers list. This wall of text was brought to you by Zombie Tranzlators Incorperated, & Long Range Scanners Ltd. Both are Subsidiaries of Zombie Interstellar BrAiNz Aquisition Corp.
Copywrite 2010, Zombie Holdings L.L.C. "We NeEd bBrRaAiNnZz, YoUrZz WiLL dO"
Last edited by [ZX]AnthraxZombie on Wed Nov 16, 2011 1:58 am, edited 5 times in total. NOW! This here is a VERY useful post. 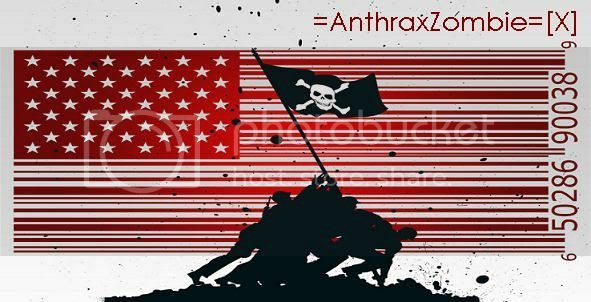 Thanks Anthrax! Yes Anthrax, I make a point to sale all my bots and bats before a killing of NPC. at anyrate. I will make a point though to not cause such a problem on this or any other server in the future. Thanks for this info I'm sure other servers will appreciate the lesson as well. Who says you can't teach an o'l dog new tricks! Various Turrets, usually 2-3 different types. Several different munitions, ie: various torpedos, missiles and mines. 3 different types of armor. Sometimes even shields are dropped as loot. So, what I'm wondering is this. Wouldn't it make sense to limit what is dropped as loot by the NPC ships? Do they really need to drop such a variety of items? I don't agree with the ammo as much as I do with the other commodities, Prawns, Wine, etc...etc... I usually drop them and shoot them and go on. Most of the time I'm salvaging as I cross a system of there's a wreck in my path and I would rather choose what I loot than keep something an NPCs chooses to carry. Hell, Prawns and Shiraz Wine seem to be the biggest item on the market for NPCs because it sells cheap for us so, they must just drink cheap liquor and eat cheap food? As for batts and botts, I try to just blow up what I don't keep or need. Moving away doesn't always help as you suggested Bobby. I have left HI gone into either Ponderosa or GGM and sold a full load and returned only to fnd many still there and the NPCs going loot crazy. They only carry a few of them and what we leave behind, they in return, loot them to help keep the server clean but, if you go kill crazy and leave 2-3 full loads floating there and they are still in the area, they aren't going to get but only what they can hold. I just fly around before killing anymore until I get them all if I can, use what's left as needed. Hell, when in my Battleship, I've dumped my whole loads of both and blown them up just to help clear up the area I'm in then tractor up more of them. It's no big deal for me. Lol. Previous versions had players complaining that npcs didn't drop enough loot. Tried to fix that. And you did fix it, in my opinion. But, maybe fixed it too well? If you pick up 1 of anything it is unique, doesn't matter if you pick up 10 of the same item it still counts as 1 "unique" item. So rather than dropping 10 Shiraz, 20 Prawns, 15 Kahuna Burgers and 10 Saurkraut. Why not have them drop 30 Shiraz and 25 Burgers? Then it's only 2 Unique items instead of four. And the same with the weapons and such. Instead of 3 of this coedename gun and 2 of that one and 4 of the next one, why not 10 DiamondBacks? Well if I remember correctly Weaps count as 1 for each not 1 for each type. Only Stackable items count 1 for all. If you can trade more than 1 at a time (you can enter a quantity) it is Stackable. If you can't it is unique. Ah, what you say makes sense. But I still think the variety can be reduced, atleast some. I doubt that anyone would mind if the NPC did NOT drop Wasp CDs, I mean at $91 each...that's chump change compared to most anything else that drops. I'm just using examples here and in my previous post. I'm sure there is a way to reduce the amount of Unique items that drop. 1-2 different commodities instead of 3-5, less variety of ammo etc. Bottomline here is this, if you go over the 99 total amount of stuff on your ship, you risk corruption. If you can sell it, it counts towards your total. Stackable items coun as 1, such as ammo, bats & bots. Everything else counts individually. I did this thread so peeps would know they run the risk of losing a ship if they get careless and tractor too much stuff. What with the habit this server has of crashing to desktop, I know this info is valuable to the whole bunch of yaz, so stay on top of it out there ok?